[7 mins. 25 secs.] The filmmaker Jim Cummings visits the podcast to discuss his first feature film, "Thunder Road" which will be opening theatrically on Friday, October 12th. In the meantime you can see an advance preview of Jim's film as well as a number of other films (including John Landis' never-before-seen "Schlock") on Sunday, September 23rd which is Art House Theater Day. That day celebrates the legacy of independent theaters as advocates for cinematic arts. In an age where media has become more digital than tangible, more solitary than social, art house theaters remain the physical spaces where film lovers congregate and connect with intrepid, creative filmmaking. They are the beating heart for new and exciting cinema that is shaping the future of the medium. For details and a complete list of participating theaters, visit www.arthousetheaterday.com. "Thunder Road" is written by, directed by, and stars Jim Cummings and is based on his 2016 Sundance Film Festival Short Film Grand Jury Prize winning film of the same name. The feature centers on Jim Arnaud (Cummings), a Texan police officer, who struggles to raise his daughter as a love letter to his late mom. It is a tragicomic portrait of a failing figure of authority in America. You can also watch a number of Jim's shorts as well as his web series, on Filmstruck. The short film version of "Thunder Road" may be found on Vimeo. [50 mins. 23 secs.] 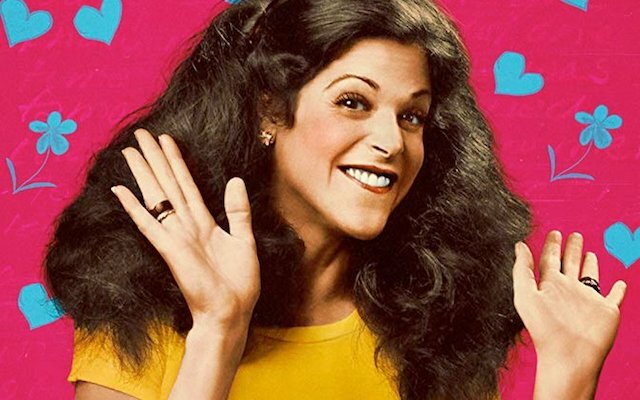 Also on the podcast, Lisa D'Apolito, the director of the documentary "Love, Gilda" about the brilliant and beloved comedian and one of the original Not Ready For Prime Time Players, Gilda Radner. Diaries, audiotapes, videotapes and testimonies from friends and colleagues offer insight into the life and career of Gilda Radner, the beloved comic and actress who became an icon on "Saturday Night Live." Among the many talking heads in the film are Andrew Alexander, Anne Beatts, Chevy Chase, Bill Hader, Janis Hirsch, Judy Levy, Melissa McCarthy, Lorne Michaels, Laraine Newman, Marcus O’Hara, Amy Poehler, Michael Radner, Maya Rudolph, Stephen Schwartz, Paul Shaffer, Martin Short, Rosie Shuster, Cecily Strong, Jordan Walker-Perlman, Pam Zakheim and Alan Zweibel. The film opens nationwide this Friday, September 21st, and is being distributed by Magnolia Pictures and CNN Films. The director and I are joined by colleague, friend & Gilda Radner aficionado, Lisa Rosman.